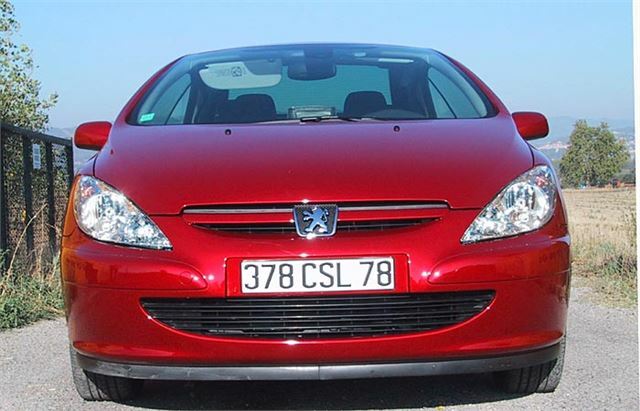 There was only one other car like the Peugeot 307CC. 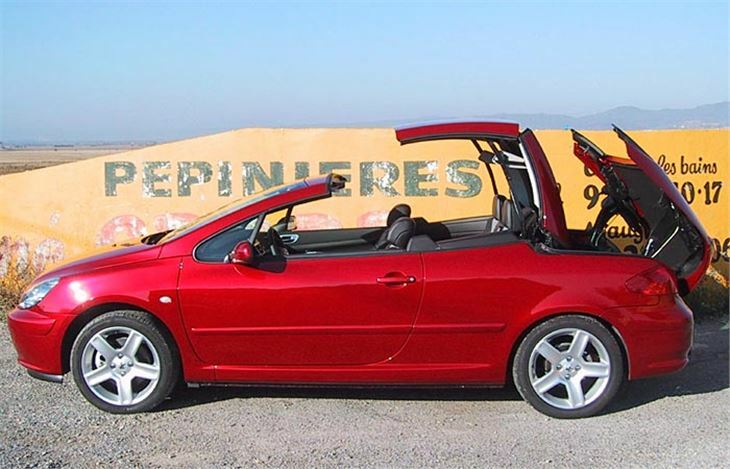 Back in 2003 the Renault Megane CC was the only alternative genuine four seater with a hard top that folds away into the boot. We both drove all three variations of the 307CC and came to a surprising conclusion. But I’ll save that to the end. First a general bit about the accommodation and the roof. 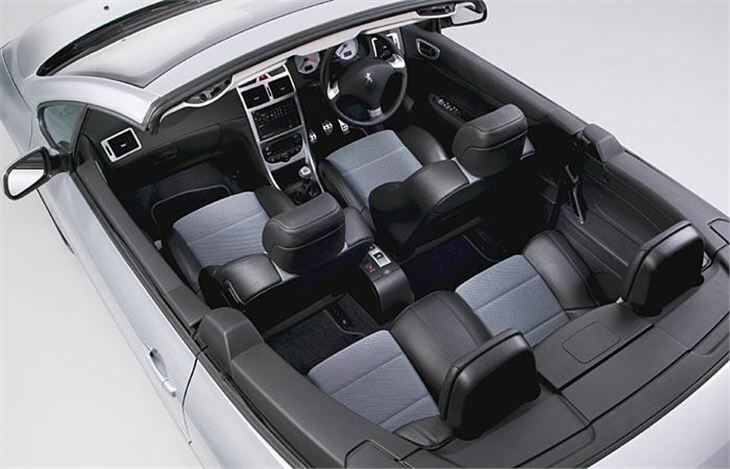 The 307CC is a genuine four-seater. 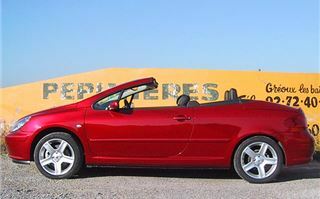 Not a two-plus-two dwarfs-or-small-children, like the 206CC and the Lexus SC430. Four average sized adults can happily travel in it. 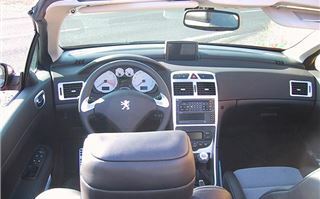 A Frenchman actually invented the concept of a hardtop that tucks away in the boot back in 1932 and Peugeot put it into production in the form of the 1934 Peugeot 401 Eclipse. A long way before Ford’s 1958 Skyliner. And light years ahead of Mercedes 1998 SLK. On the 307, the boot opens backwards, the back window folds backwards into it, and the hardtop hinges down on top. Then the boot closes again, all in about 25 seconds. There are no clips to break your fingernails on; just a single switch, and releasing it stops the roof folding process at any stage. The roof itself takes up about half the boot space, leaving enough for an average sized suitcase. If you want to take more with you as well as four passengers, you have to opt to keep the top up for the journey, or buy the optional boot rack, and if you want to take a ladies entire summer frock collection you’ll have to do both. Unlike the Mercedes SL, you can’t lift the folded roof to load the boot. You have to slide everything into a narrow slot. Or be sensible and load to the half way level it with the roof up. A nice feature is that the electric boot button is the centre of the ‘0’ of the ‘307’ badge. Now onto the driving impressions. We did more than 500 miles in a day in these cars, so I can tell you there’s nothing wrong with the front seats. And you can drive at up to 180kph without too much bouffant bluster. You don’t actually need the optional windbreak at all. I can also testify that you can ride comfortably in the back at up to 50mph, after which you start to collect dust in your hair and flies in your teeth. 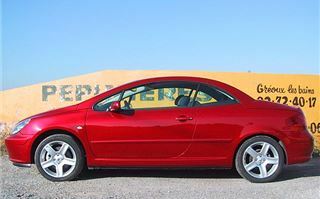 The 180bhp version we drove was kitted out in natty half-leather seats with bobbly cloth inserts. This is the recommended seat material, because it keeps you cool and holds you in place. 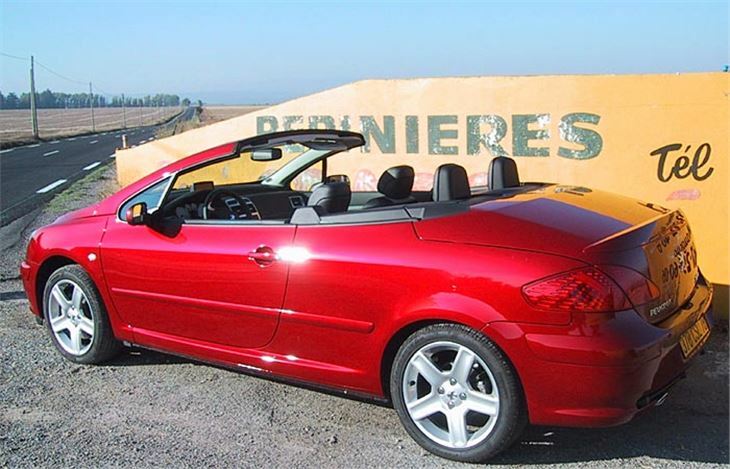 On normal roads, even roads with the odd bit of broken or dodgy surface, the handling is fine with none of the dreaded scuttle shuffle suffered by convertibles of the past. You don’t get the ultimate in handling and roadholding, but it grips confidently and goes well enough, if a little raucously. On the motorway you start to notice it’s quite low geared at about 20mph per 1,000 rpm, so that requires 4,000rpm to cruise at 80, and 7,000 rpm to pull its top speed of 140. And, despite 4,000 kilometres under its wheels, the engine on ours was strangely reluctant to rev past 4,000. Could have still needed a few more kilometres to give its best, perhaps. Next, we tried the basic 138bhp 2.0 litre car. It’s slightly higher geared at about 22.5mph per 1,000rpm, so it’s a more relaxed motorway cruiser. And the longer gears coupled with an engine more prepared to rev made it a slower but nicer drive than the 180. Finally the automatic and oh, dear. 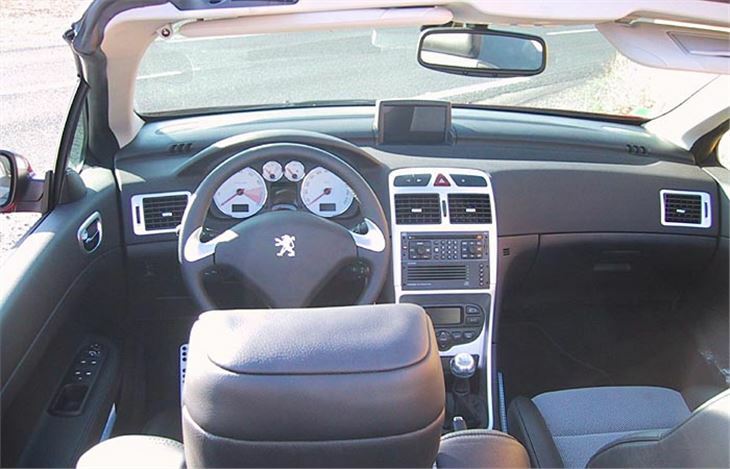 This has a four-speed box with wrong-way-round Tiptronic style manual override. We only took it down the road about ten kilometres, but must have chosen one of the bumpiest backroads in the South of France. It handled okay on the smaller standard 16” wheels. But it rattled, creaked and squeaked like an old SAAB 900 cabrio. And the autobox was nothing special either, though it's good to know you can have one if you want one. Unlike the SAAB 9-5, the auto is not the pick of the bunch. The standard £18,300 138bhp manual is. Preferably with the half leather seats and standard 16” wheels and tyres. There’s simply no need to spend any more. And no need at all to stray into the sort of pricing territory where a SAAB 9-3 at a discount starts to look like an alternative.